In what seems to be a world where danger has escalated over the past few years, the idea of being able to legally carry a concealed or now open handgun has a great appeal for many citizens in Texas. It’s no shocker the demand for concealed handgun carry permits is greater than ever due to an increase in crime throughout the nation. 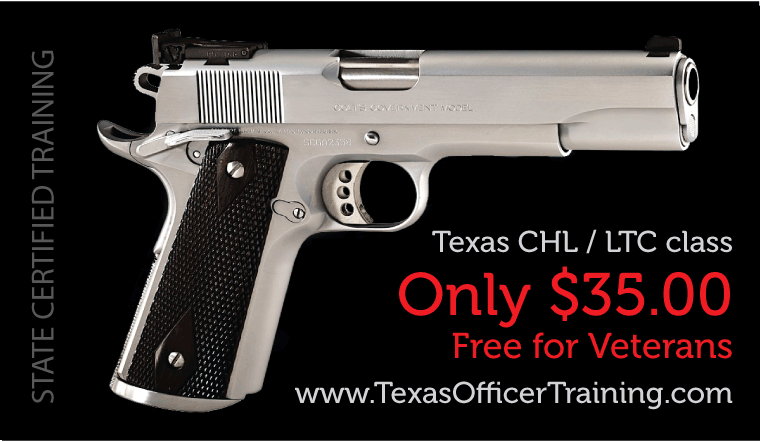 Texas Certified Training Academy has answered the demand, and now offers a License to Carry (LTC – CHL) class for both security guards and private citizens at some of the lowest prices seen in the industry. These license to carry LTC classes are being offered at just $35 – a fraction of what most other companies charge. As a way to say “Thank you” to the troops, US Military Veterans are being gifted the class by TCTA and don’t have to pay a thing… That’s right – Absolutely Nada! 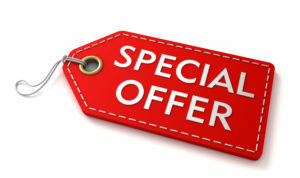 The days of the $100.00 CHL/LTC classes are over. “Being able to receive basic firearms training and certification to defend yourself or family should not cost anyone an arm and a leg,” commented Glenn Jones, Senior Instructor and General Manager of the academy. And being a prior veteran myself, I absolutely will not charge our vets for this class. This class was 12 hours long last year but now only 6 hours (per the new DPS guidelines), yet our competition still has not rolled back prices and we feel our price of $35.00 is better suited for students and people on a budget. Security officers can benefit from attending a license to carry (LTC) – open carry class as well. Once they get off work, they don’t have to bother with disarming themselves because now they can legally carry on and off duty. In addition to their License to Carry (LTC) class, Texas Certified Training Academy also offers an extensive list of security guard and bodyguard training classes, including classes for baton, pepper spray and handcuffing. 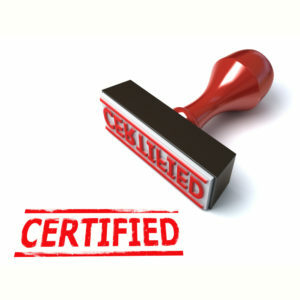 All courses are taught by qualified and certified professionals with extensive experience in the subject matter and within the security field. Full course descriptions, schedules and other details can be found on their very informative TCTA website. 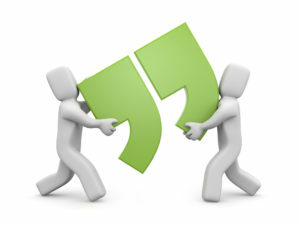 Feedback from students who have taken courses at TCTA have been positive across the board. J.C. from Texas, recently said, “I’m very happy about the training I received at Texas Certified Academy. The instructors were great, and I know that I’m much more ready to defend myself and family now, not to mention I can now carry my firearm out in public where allowed. 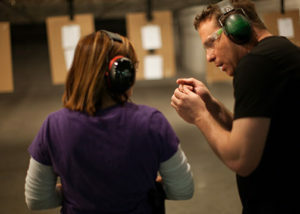 For more information about open carry laws or chl and ltc courses in Austin, visit https://www.texasofficertraining.com.